Today is an important milestone in the property’s history as we unveil the first part of a redevelopment plan designed to build on the magic and vibrancy that has made Broadway at the Beach so special. Burroughs & Chapin Company, Inc. officially announced the first step of a multiyear transformation of Broadway at the Beach, South Carolina’s number one tourist destination. Improvements will commence this winter with a redevelopment of the property’s entertainment and nightlife section, formerly known as Celebrity Square. Designed after some of the country’s best entertainment districts, Broadway’s plan will bring together improved architecture and an updated tenant mix. The newly-designed area will feature a mix of established national brands, up-and-coming concepts and existing venues that appeal to the whole family. 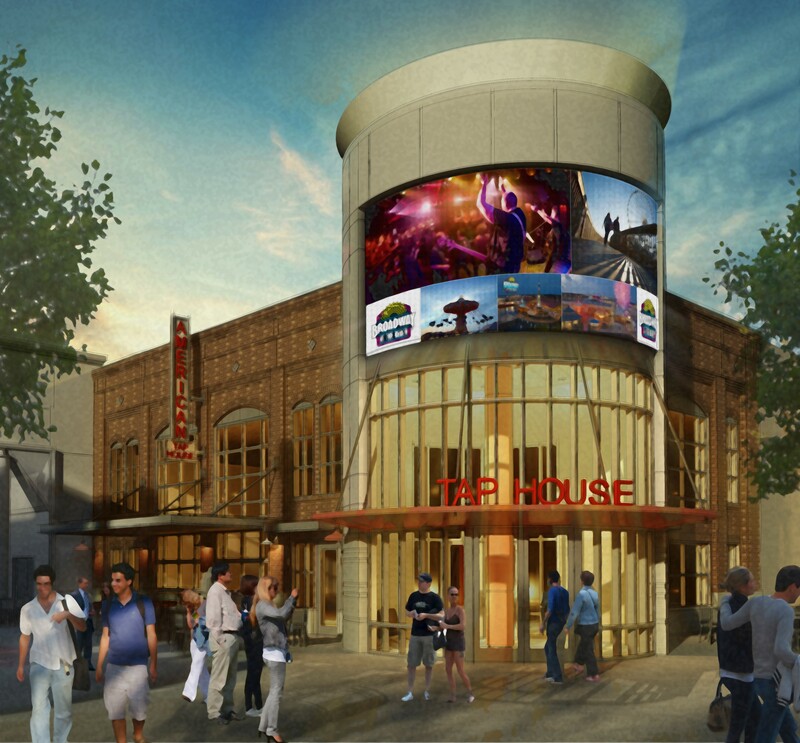 The new, expanded offering will consist of both dining and entertainment venues, including national tenants such as Hard Rock Cafe and the area’s first Dave & Buster’s, as well as proven local and regional operators. Dave & Buster's recently signed a lease with Burroughs & Chapin to add a Dave & Buster's location at Broadway at the Beach. Known as the only place where you can eat, drink, play, and watch sports, Dave & Buster’s is all about entertaining the guest, delivering the latest and greatest games, ultimate sports viewing, and extraordinary food and drinks. There are currently over 80 Dave & Buster’s locations across the United States. Other plans include the relocation of one of Broadway’s original tenants, Hard Rock Cafe Myrtle Beach, which opened in July 1995. Hard Rock will move to an interior, corner location that will serve as the entryway to the newly redesigned entertainment and nightlife area. 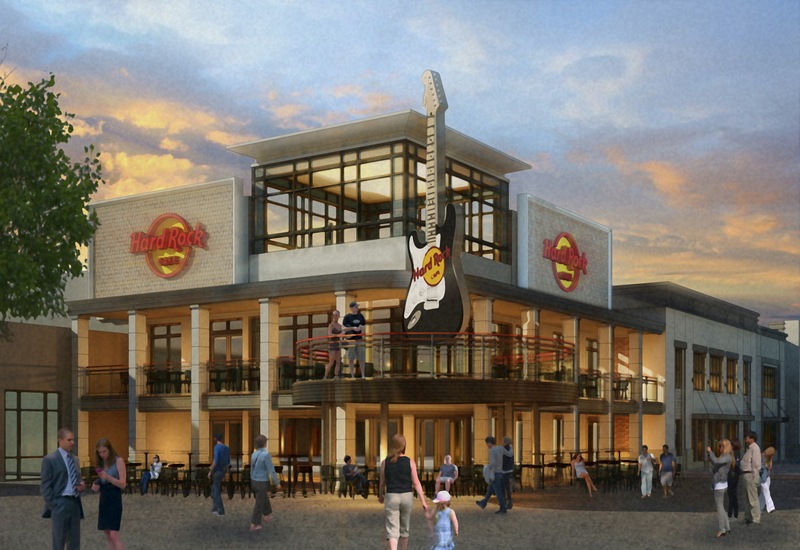 The new Hard Rock Cafe Myrtle Beach location will seat 528 guests, feature private event space, patio seating, and a live music stage. Authentic American fare, music memorabilia from new and legendary artists, as well as a Rock Shop, will be part of the guest experience when visiting. OZ, a new nightlife experience unlike any other in the area, is set to open this spring and will feature a different themed look, feel and design each night. The venue will transform right before guests' eyes; from the lights of Paris to the rings of Saturn, it plans to be a true out-of-this-world experience. Broadway Louie’s, also part of Celebrations Nitelife, recently moved to a new corner location near the comedy club, but still maintains the same great atmosphere. It features a new full-food menu, outside patio bar and the award-winning Broadway Jake’s All Star Karaoke nightly. Broadway at the Beach is South Carolina’s number one tourist, shopping, dining, and entertainment destination attracting more than 14 million customers annually. 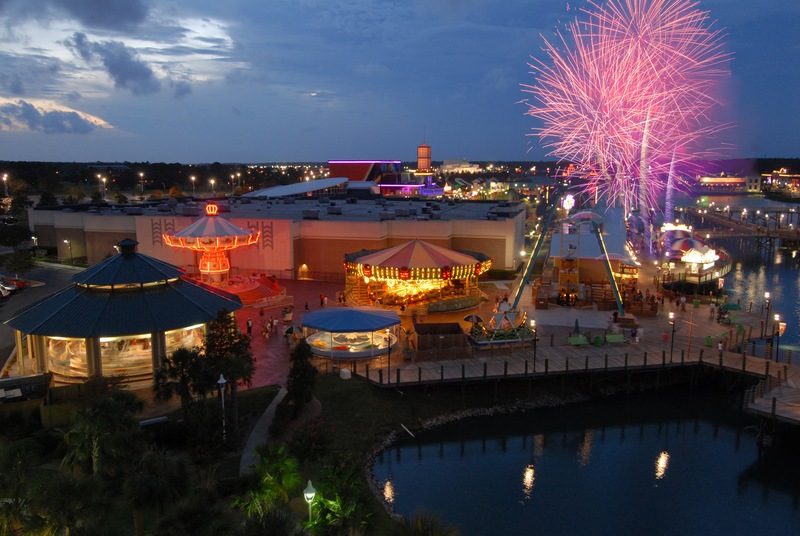 Broadway is set on 350 acres in the heart of Myrtle Beach and features world-class shopping, dining and entertainment in a series of magical, interconnected villages, surrounding the 23-acre Lake Broadway. Broadway’s distinguished tenant mix has something for the whole family: popular attractions, approximately 20 restaurants and eateries; more than 100 specialty shops with national and local brands; and hotels. A past recipient of the South Carolina Governor's Cup, it was deemed the state's best travel destination by the South Carolina Department of Parks, Recreation & Tourism. More information about Broadway at the Beach is available at http://www.broadwayatthebeach.com. Information about leasing opportunities at Broadway at the Beach is available from Burroughs & Chapin's Commercial Leasing and Management Division at BC-Leasing.com. Burroughs & Chapin Company, Inc. is a real estate investment trust (REIT) headquartered in Myrtle Beach, S.C. It has been a recognized leader in the ownership, operation and development of high-quality retail-based properties for more than 100 years. The company's mission is to deliver long-term, profitable growth to shareholders by investing in vibrant retail properties that combine shopping, dining and entertainment in markets with attractive supply and demand fundamentals. More information about Burroughs & Chapin Company, Inc. is available online at http://www.burroughschapin.com.